Don't forget... No Contracts, No Pay Per Lead, No Pay Per Click, No Expensive SEO Monthly Contracts, No Nonsense. With ARMS there are No Contracts... Period! One of the worst things you can do is, get locked into a long term contract and NO one is visiting your website or your phone is NOT ringing. All of our ARMS Plans are a very small one time payment and you get Unlimited Appliance Repair Leads... for life. You are in total control! We don't Share Leads, these are your leads EXCLUSIVELY and only yours! We know that there are a large number of our competitors (Leads Agencies) that share your leads with some of your competition. Not so with us! You will get 100% of all the Appliance Leads sent to your website or your appliance company phone. 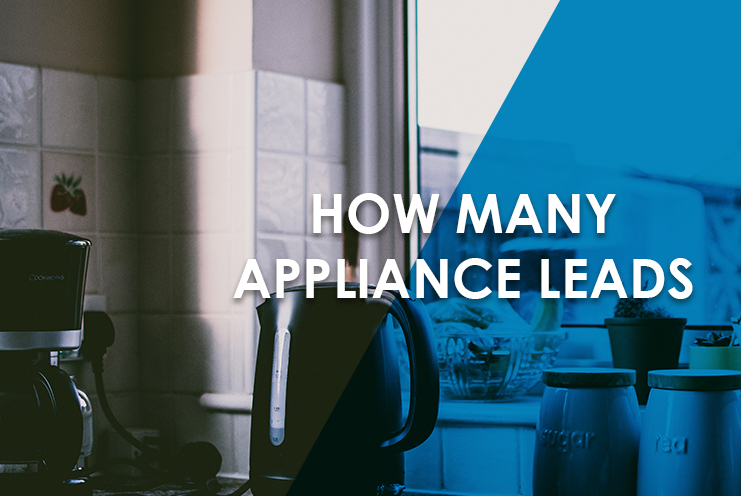 Need more appliance leads (customers)? No problem, once you start using ARMS, we will have your phone ringing with new leads in as little as 48 to 72 hours. ARMS is designed to increase phones calls tremendously and get a flood of customers to visit your website. Average Monthly Income when using ARMS... $5000 to $7000 or more. Money Back Guarantee - All You Have to Do is Turn it On & Turn it Off (or not), Turn it Down or Turn it Up... it's Really That Simple! 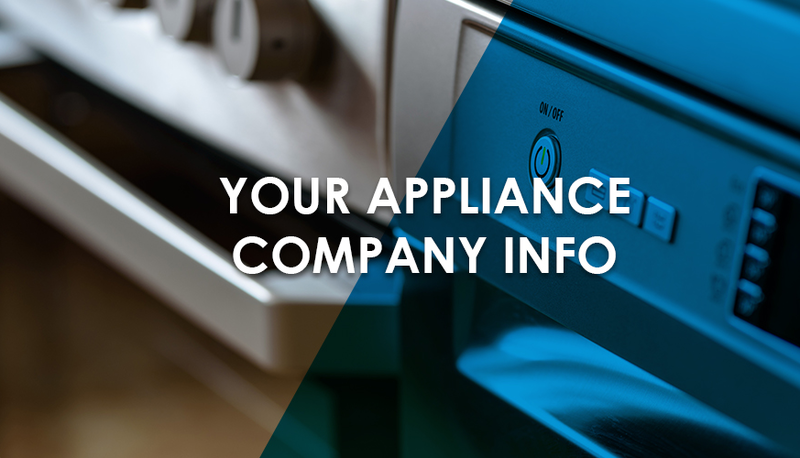 With ARMS we create your Lead Generator specifically for your Appliance Repair Business. All you have to do is turn it on when ever you want more leads and turn it off when you have as much as you can handle... it's really that simple! If you want more leads or they start to slow down... turn it back on. Don't worry it's super easy. Once we create it (only takes a couple days), then you receive it and turn it on... that's it! 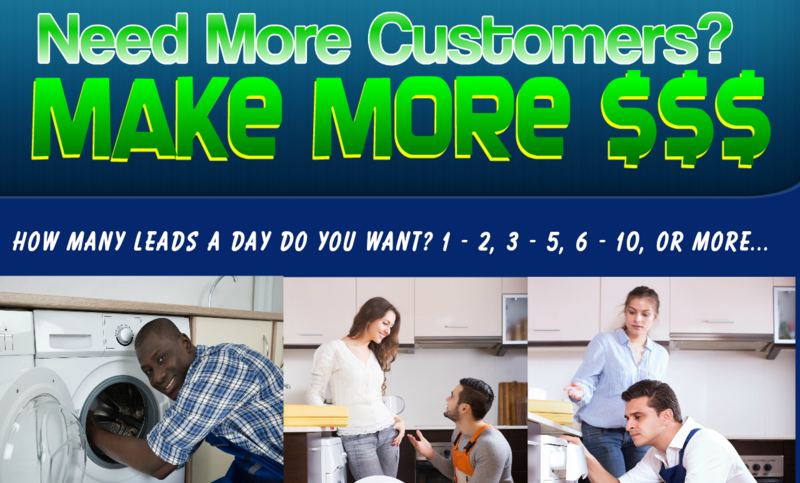 You not just getting another company that is going to grow your business and provide Appliance Repair Leads. Unlike the other guys, we’re not just blowing smoke. We know the appliance industry. How? We have been in the Appliance Repair Business/Industry for almost 12 years and counting...We already have a VERY SUCCESSFUL Appliance Business. We are going to show you to GROW your business the easy way and without spending $1000s of dollars to do it. Never sign up for ANY type of high expensive monthly SEO Contracts. Why? The average SEO Company will take 3 to 9 months before you see ANY real results for your Appliance Business to start receiving new leads. With ARMS as you already know, there are NO contracts. However, with ARMS Lead Generator will provide you with all the appliance leads you can handle. You will receive SEO training that you can you use if you choose to for... FREE! 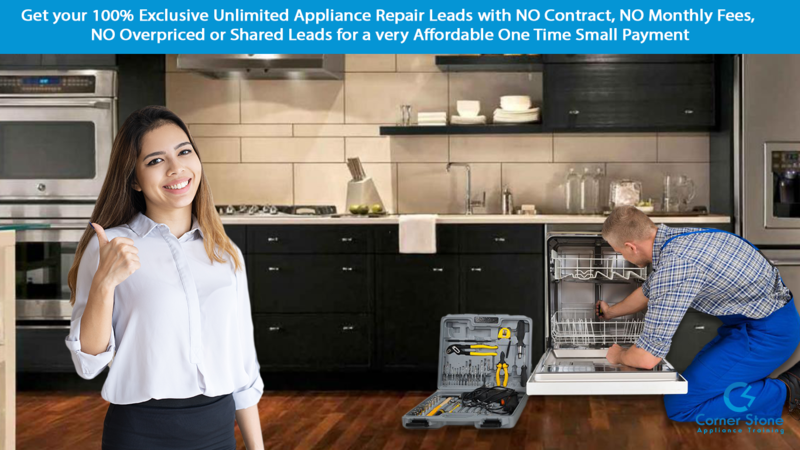 How Do I Get Unlimited Exclusive Appliance Leads for My Appliance Business? 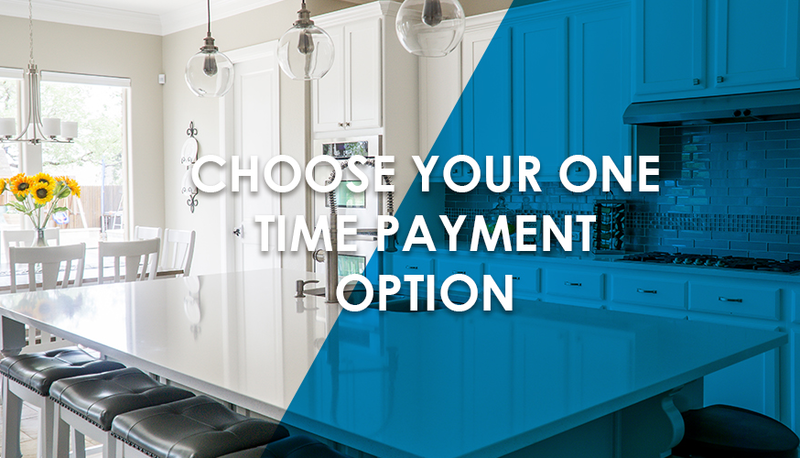 At Cornerstone Appliance, we have a customized plan for Your Appliance Repair Business. at $15, $20 & $25 Per Lead? Our history of serving our customers and students to save money & grow their Appliance Business speaks for itself!